The cleaning effect after PCB installation soldering is directly related to the electrical performance, working life and reliability of the product. Cleaning is also a key process in PCB production. Different types of flux are required for PCB assembly. Flux is usually composed of active agent, film agent, additive and solvent. Active agents are composed of organic acids or halogens, and additives are often composed of substances such as acidity regulators, light suppressants, brighteners, corrosion inhibitors, and flame retardants. The residue formed by these substances after welding will adversely affect the performance of electronic products. For precision circuit, because of the uncleanness of salt or alkali and its gas and moisture or water to form the electrolyte solution, coupled with the existence of carbon stains or inert metal ACTS as the primary element of cathode and anode reaction, make the circuit surface galvanic cell reaction, electrochemical corrosion and leakage, short circuit and electric migration, and the dry dust is make touch point contact undesirable and discharge, and poor heat dissipation and cause fire accident. The acid base and its gas also directly through the REDOX corrosion circuit. 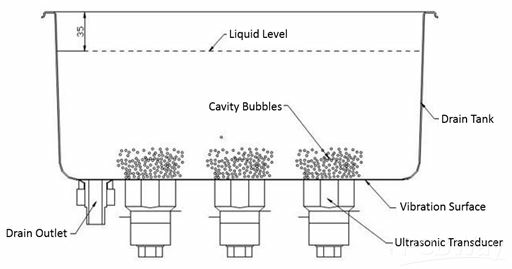 Electrostatic accumulations result in the soft breakdown and hard breakdown of components. Therefore, the cleaning effect after PCB installation welding is directly related to the electrical performance, working life and reliability of the product. In addition, the choice of cleaning method is a very important and technical work, which directly affects the working life and reliability of electronic products, and also relates to environmental pollution and human health. At present, PCB cleaning process is mainly divided into manual cleaning, gas-phase cleaning, ultrasonic cleaning, centrifugal cleaning, semi-water cleaning, etc. Different cleaning methods use different cleaning agents, and the cleanliness must be tested after cleaning, and meet the cleanliness requirements of corresponding grade of electronic products in the "requirement for cleaning after welding of assembled parts of military printed boards". Manual cleaning is a common cleaning method in military products. The advantage of this method is that the cleaning is flexible, simple and does not require equipment. It is mainly used for cleaning after welding of small batch and multi-variety PCB assembly parts. The disadvantages are unstable quality, low cleaning efficiency and difficulty in cleaning the bottom of BGA and other SMT components. Early to use 1,1,2-Trichlorotrifluoroethane mainly, the advantages of the solvent is good cleaning effect, compatibility, strong, drying speed, and not easy to burn, not explosion, low toxicity, good safety operation, easy recycling. However, as it is ozone-depleting substance, it has been completely banned from production and use. Later to use alcohol mainly, the advantages of the solvent is easy to buy, cheap, universal. However, as military electronic products began to use a large number of free-cleaning resin flux, which will occur deliquescence or extraction phenomenon after using alcohol cleaning. At this time, there will be some white spots, such as films or grains, around the solder joints. The composition of white spots is relatively complex, mainly including polymerization rosin, oxidized rosin, solder activator reactants, rosin salts, rheological additives, etc. For highly reliable military electronic equipment, flux residues not only affect the surface coating quality of printed board assemblies, but also affect the long-term reliability of the products. As a result, alcohol is being phased out. At present, manual cleaning mainly uses various modified alcohol cleaning agents. Suitable solvents are available for different brands of resistance flux. The cleaning effect is good, but the ultrasonic stress may cause internal damage to the components (such as crystal vibration, etc. 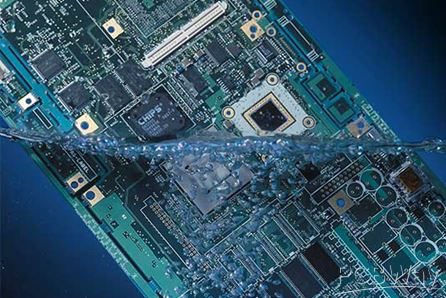 ), so it cannot be applied to PCB cleaning in the electronic industry. Gas phase cleaning is a CFC cleaning technology and its cleaning effect is good, but the scientists found that the CFC on the atmospheric ozone layer is destructive, which means it cannot meet environmental requirements. 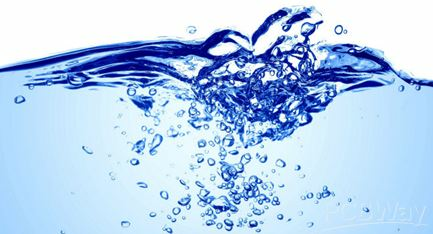 At present, there are two types of water cleaning technology: one is the saponifier of the aqueous solution. At temperatures of 60 to 70 degrees Celsius, saponifiers and rosin-type flux residues react to form water-soluble fatty acid salts, which are then rinsed with continuous water to remove saponification reaction products. The second is a water cleaning process for non-rosin water-soluble flux cleaning. Semi-water cleaning is a process of cleaning with solvent, then rinsing with hot water and then drying. Semi-water cleaning technology has been widely used, which is a kind of automatic cleaning method. The main reason is that it does not need to change the solder resist used in the existing process, does not affect the production process, and the cleaning effect is good. 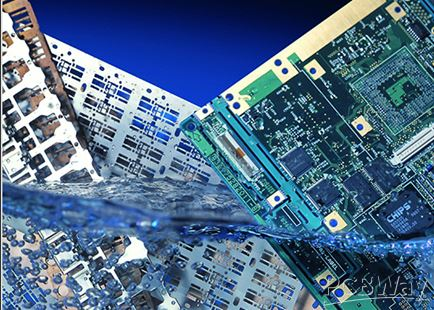 Most electronics manufacturers in the United States use the technology, with Japan using a semi-water cleaning process accounting for 20% to 30% of electronic cleaning. 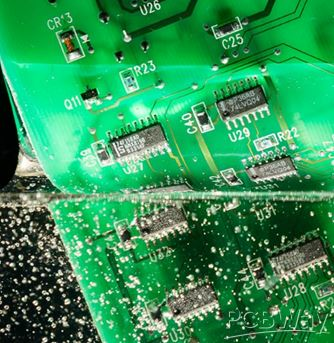 Semi-water cleaning combined with suitable cleaning agent can effectively remove the organic and inorganic pollutants such as rosin, water-soluble resistance flux and non-cleaning flux solder paste on the surface of PCB. The advantages of this method are good consistency, reliable quality and high efficiency. This technology is mainly used for the post-welding cleaning of mass PCB assemblies. Its disadvantage is that it is not suitable for some potentiometers, adjustable resistances and other non-sealing devices and more sensitive to moisture PCBs.